Discussion in 'The Lounge' started by stevew, Sep 10, 2012.
i would happily do that job if i could shoot the people i caught in the face for doing this and this. I can't bring myself to look at the pic but read the story. Some people are despicable. After having tried (unsuccessfully mind you) for the past couple of months to adopt a dog, it is heart. Reaming to read some of their stories. Dogs that were tied to trees and left when their owners moved, dogs that were kept in cages and never allowed to stand up, leading to deformities, it's just sick. 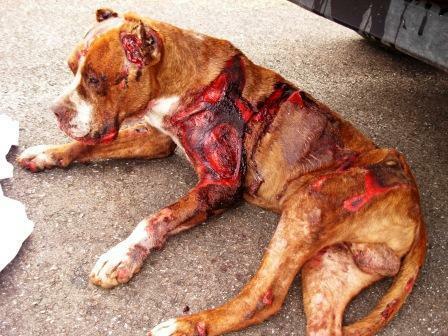 I'm not about to look at the pics or read the stories, as I, too, find it amazing how cruel "people" can be to animals. We have 6, yes, 6 rescues, and though the kibble/vet bills are high, and the backyard does get "poop infested" (yes, I do go out a clean it up, the yard isn't that big to let it compost back in to the grass), the greetings I get when I get home from work, tails wagging and all, are almost as rewarding as the smiles/hugs Alaina would give me.